Acrylic on canvas w/ blackened poplar frame. 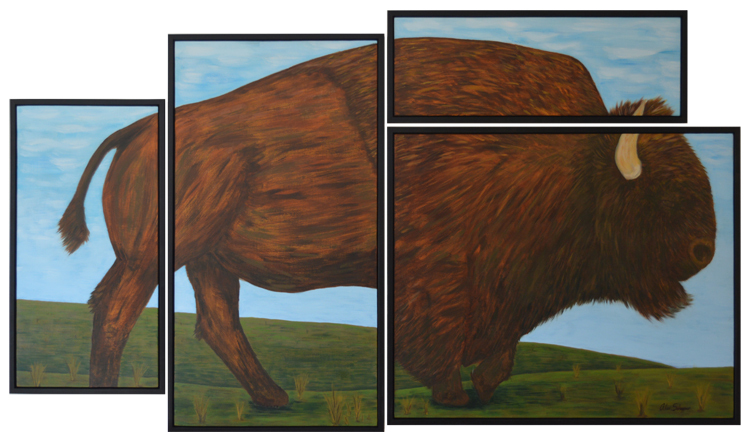 This piece was inspired by the history and beauty of the American Buffalo. The once thriving species was harvested sustainably by Native Americans. The Buffalo was driven nearly to extinction in the late 1800’s by non-native hunters in efforts to drive Natives onto reservations. This piece is a reflection upon a troubling time in our countries history, but also celebrates the people who exemplified sustainability.